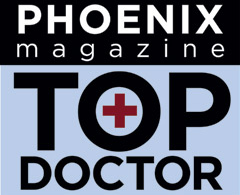 You deserve the BEST Arizona pain doctor who can help you get rid of your pain, avoid surgery, and provide individualized care rather than a cookie cutter approach. Arizona Pain Specialists provides Top Doc pain management treatment in the Phoenix and Scottsdale metropolitan area at 10 locations with Board Certified pain management doctors and chiropractors. Whether that means medication management, spinal decompression therapy, chiropractic treatment, acupuncture or pain management injections, Arizona Pain Specialists combines traditional plus alternative treatment options at all locations… Under One Roof! For the past Six Years in a Row, Arizona Pain Specialists has been awarded the Patient’s Choice Award for providing the Best Pain Management in Phoenix AZ. Patients vote on the award, not doctors, and only 5% of doctors receive this prestigious honor. The Phoenix pain management doctors at the pain center locations are all Board Certified and Fellowship Trained, providing you with the best and most modern treatment available for your back pain, neck pain, whiplash, sciatica, abdominal or pelvic pain. The Arizona pain center locations accept most insurances including BCBS, Aetna, Cigna, United Health, Banner, AZ Foundation, Humana, Medicare, AHCCCS and more. If you want treatment with the Best Pain Management in Phoenix AZ, call the pain management center that can change your life at (602) 507-6550 today!